I have data which I pivot as Row Labels and Column Labels which gives me something like this: And what I would like to do is add columns like Grand Total (i.e. 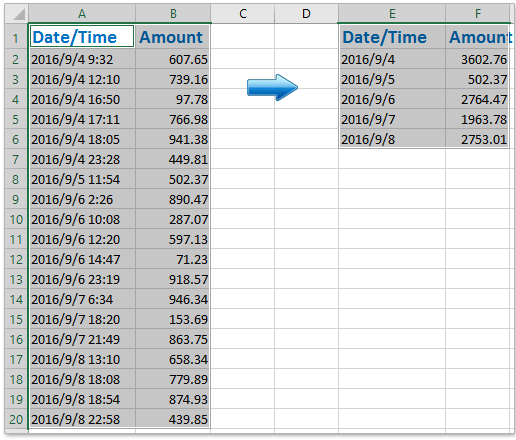 which applies to all columns as a whole, and not each column individually) to calculate things such as Average, Min, Max, Standard Deviation........ 6/09/2014 · If you want to run weighted average on the data that appears in the pivot table you have built, specify the current range this pivot table occupies. 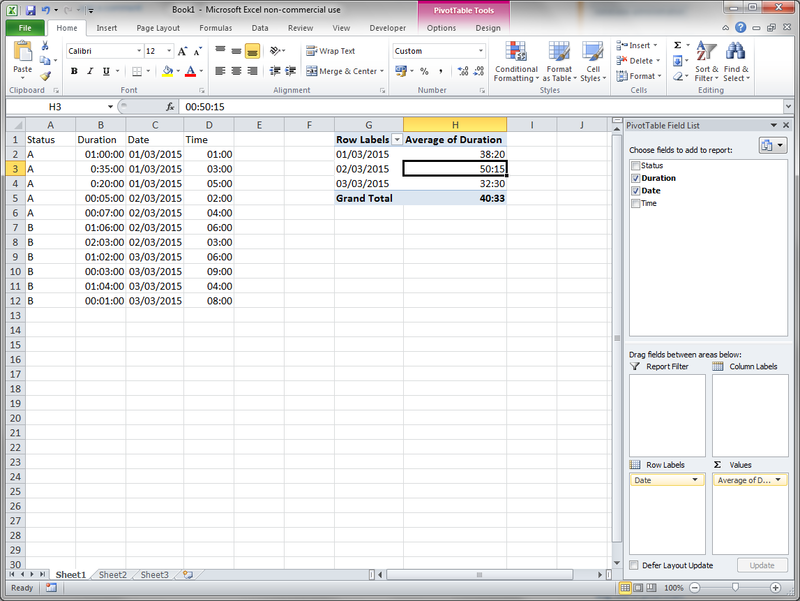 The idea is that the formula refereces the right pivot tables range whenever the pivot table refreshed. How do I show the average by month in a pivot table? Ask Question 1. Is there a possibility I can find the average per month (30 days) of a count sum column in a pivot table? If I use the average as summing value I get number one only . What I get is this: Month Transfers Average June 1 1 July 2 1 August 1 1 Whereas it should be something like. Month Transfers Average June 1 0.333 July 2 0.667... The Pivot Table showing the Presentation Tab and how we have changed the Total label to Average (highlighted) Final Word, it works for columns too So, this example shows your averages in the last row of the table, but you can also have the computation done in a column too, ie, an average of your rows. Pivot tables is a quick and powerful way to analyze data in Excel (and now Google Spreadsheets, too). It’s a way for a user to to summarize and large large sets of data. It’s a way for a user to to summarize and large large sets of data. From this export, I'm trying to make a pivot table to show the average calendar_stc per assignment group, per month, per year; but in hours, not seconds. I thought this was an easy process, create pivot to group row data by years then by months. Can anybody tell me if there is a way to construct/display a running average in a pivot table/chart. I am trying to show the time it takes to close a ticket and would like to display the running average to show if the average closure time is going up or down. Hi! 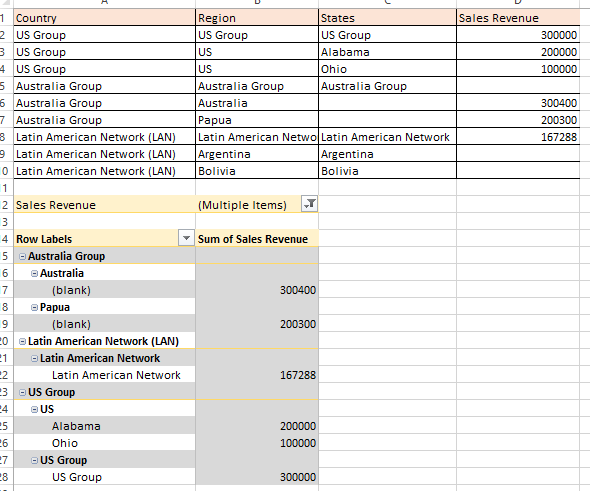 I've created a pivot table with som expressions which are represented as columns. Is it possible to show an avarage at the bottom of a columns instead of a partial sum?